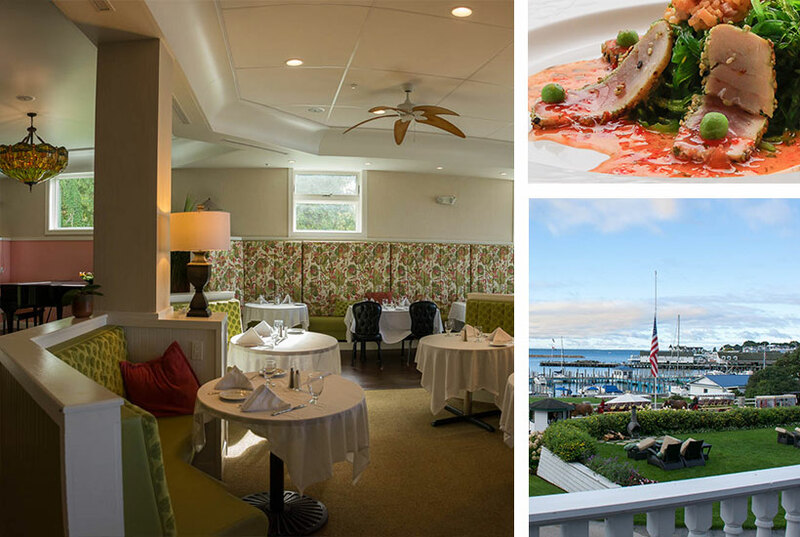 1852 Grill Room features a first-class menu served in a relaxed setting highlighted by stunning Mackinac Island views. Choose to dine on the terrace patio or inside the dining room with its stunning décor and floor-to-ceiling windows. Breakfast options include the delicious buffet and ala carte selections. Live pianist, sunset hues over the water, and a flavorful dinner menu make for a perfectly romantic evening out. Open May thru October. Dinner reservations are encouraged using the OpenTable app link below or by calling 906-847-3347. Located just a past Marquette Park downtown, across from the Mackinac Island Marina at 6966 Main Street. Enter the 1852 Grill Room through the lobby of the Island House Hotel.